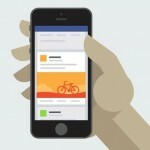 After hitting a recent milestone of 2 million advertisers – adding more than 500,000 since last July – Facebook has announced the launch of a new mobile app which will enable advertisers to manage their ad campaigns on the go. The motive behind the development of this app is the 800,000 active advertisers who already use ad manager on their mobile at least once a month. According to Marketing Land, the revenue from Facebook advertising was $3.59 billion in the fourth quarter of 2014, of which 69% was generated by mobile ads. This proves how lucrative the mobile advertising market is, and also how powerful Facebook advertising has become in recent years. As a matter of fact, the latest statistics from Statista.com show that mobile ads accounted for more than 90% of Facebook’s revenue growth, in each of the past seven quarters. The new ad manager app will make advertisers’ life easier, as it will allow them to track ad performance, edit existing ads, budgets and schedules, as well as create new ads from their mobile devices. Additionally, they will receive push notifications so that they never miss important alerts related to their ad campaigns. According to Facebook’s Official Blog, this app will become available globally on iOS devices in the next few days, having already launched in the U.S. Android users, however, will have to wait until later in the year for the launch of the app on other devices. For advertisers who have been anxiously awaiting such a development, this is exciting news. The question now is: how easy to use and functional will this app be?